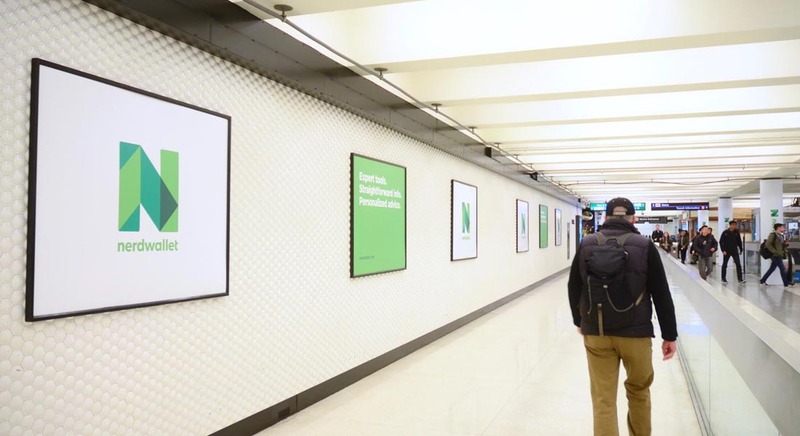 Nerd Wallet wanted to raise awareness in the key high tech market of San Francisco, but were faced with being up against tech giants like Google and Facebook. 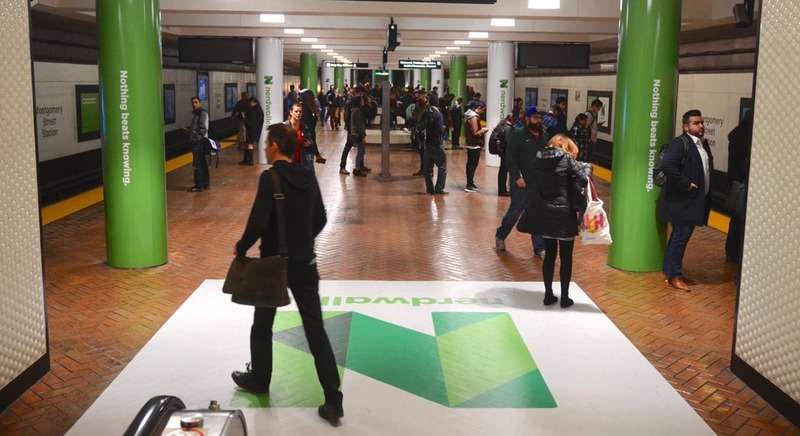 To breakthrough the clutter the solution was to take over on of the busiest transit stations between the Financial District and SOMA. STRATEGY: To utilize multiple pieces of out of home media to create an all-encompassing branded environment that would build awareness among the client’s target audiences. 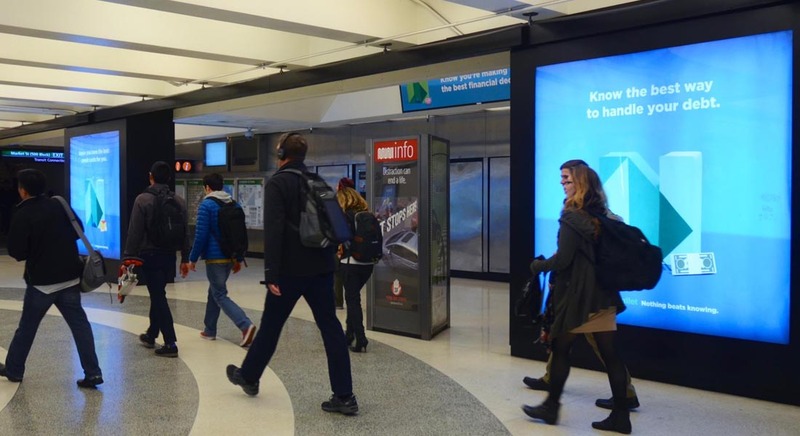 TACTICS: To reach NerdWallet’s busy, always-on-the-go demographics, EMC Outdoor looked to meet them on their daily commutes by completely covering the Montgomery Street BART station with over 190 pieces of media. 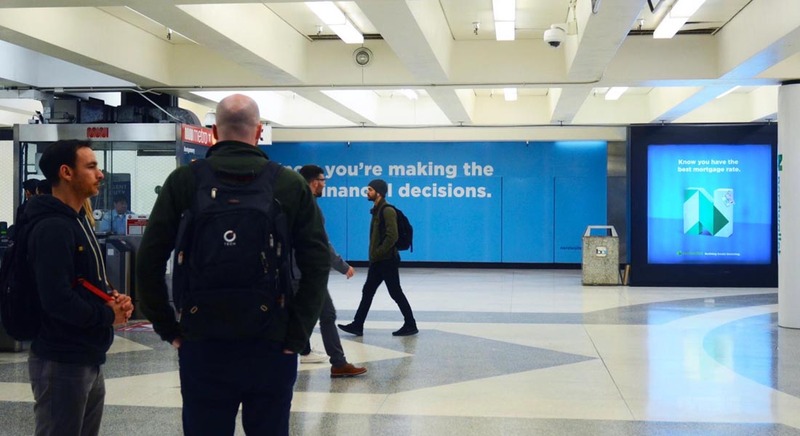 Using everything from platform two sheet posters and floor graphics to pillar wraps and backlit dioramas, it was impossible to miss NerdWallet’s name. 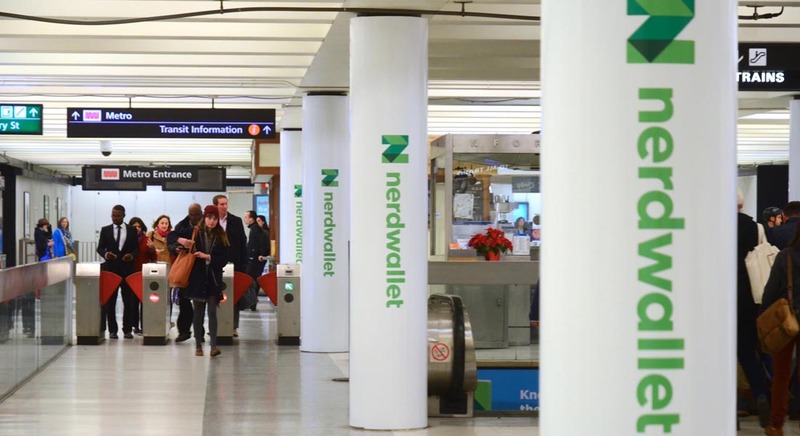 RESULTS: Over the course of the four-week program length, NerdWallet reached almost three million commuters traveling through Montgomery Station. The messaging resonated with audiences as the interactions and mentions on social media increased week after week. We've executed thousands of campaigns for our clients and advertisers, across the country and around the world — these are just a few of our favorites.